Sudan’s President Omar al-Bashir has visited Qatar, where Emir Sheikh Tamim bin Hamad Al Thani offered support for the restive African country, which is grappling with anti-government protests. Mr. Bashir arrived in Qatar on Jan. 22 as protests triggered by rising prices and shortages of food and fuel have intensified at home. The public display of anger has now escalated into calls for Mr. Bashir to step down. “President Bashir briefed the Emir on the latest updates regarding the situation and challenges facing the country,” the court of Sheikh Tamim said in a statement on Jan. 23. However, no new financial assistance was declared on Jan. 23. 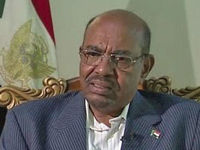 Mr. Bashir has blamed the protest movement on foreign “agents” and rebels from the western region of Darfur. The violence-hit region is considered as a stronghold of the rebel Sudan Liberation Army (SLA-AW), which has been battling the government in Khartoum since 2003. Qatar has long played a mediating role in Darfur crisis and was among the first countries to express support after protests erupted in December, with Qatar’s emir calling Bashir to offer “all that was necessary,” according to Sudan. Mr. Bashir has contributed troops to the Saudi-led coalition that has invaded Yemen. “For Omar al-Bashir to make his first visit since the protests to Qatar and not to other traditional allies is big,” Ibrahim Fraihat, a professor of international conflict resolution at the Doha Institute for Graduate Studies, said. “He obviously needs help and they (other allies) haven’t been able to provide it,” he added.